April 2, 2018  Lead singer/guitarist, Colin Meloy, talks about where the band's new sound came from and surprises you'll hear on the record. January 17, 2018  I'll Be Your Girl, out March 16, promises to take the band in a new, aggressive, synth-friendly direction, courtesy of new producer John Congleton. 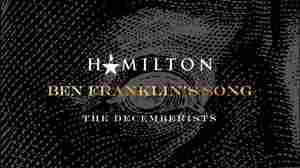 December 15, 2017  In 2016, Lin-Manuel Miranda sent lyrics about Benjamin Franklin to The Decemberists. Today, hear their collaborative take on the man who invented bifocals, the glass harmonica and a whole lot more. January 19, 2015  Singer Colin Meloy remembers when literally no one was listening to his music. Once his band cracked the mainstream, he found himself missing the artistic freedom that comes with anonymity. 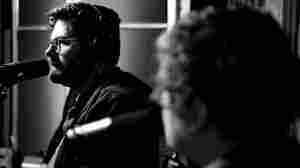 January 30, 2015  The folk-rock band, newly returned from a hiatus, performs "Make You Better" live in the studio. August 1, 2009  Taking a break from full-length performances of its latest album, The Hazards of Love, The Decemberists dipped into old and new songs at this concert. January 6, 2014  For this installment of our Vintage Cafe series, we revisit a chat with the Portland, Ore., quintet that took place upon the release of The King Is Dead in 2011. March 19, 2009  The Portland-based rock band is known for its anachronistic indie-pop songs featuring "chimbly sweeps" and "barrow boys." 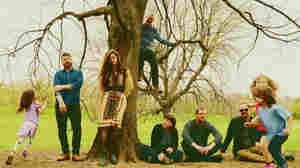 Their newest album, The Hazards of Love, is a 1970s-style concept album that some might call a rock opera. 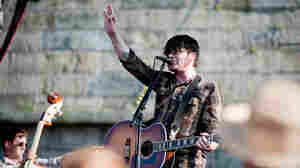 March 18, 2009  The 23rd annual South by Southwest music festival gets under way in Austin, Texas, on Wednesday. 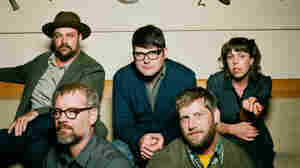 One of this year's most widely anticipated shows comes from a well-known band: The Decemberists. The band will perform its new album, The Hazards of Love, in its entirety. November 7, 2008  Two years after releasing one of the best albums of 2006 (The Crane Wife), the band returns with three volumes of new songs. Like much of The Decemberists' earlier work, Always the Bridesmaid: A Singles Series is full of magically inventive, character-driven story-songs rooted in British folk and pop. 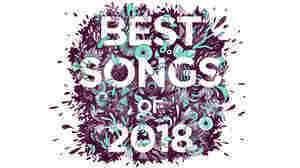 The Decemberists showcase the new music, along with old favorites, in a full concert, recorded live, from WXPN and the Electric Factory in Philadelphia. 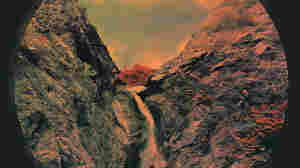 September 3, 2008  Day to Day asked artists to send their musical takes on the California Dream. Among dozens of submissions, one track stood out because of its unique approach: The instruments are urban sounds. Quinn Kiesow spent 80 hours piecing together an array of noises to make "Los Angeles."